Then you-know-who invented, out of that falsely legal head of hers, another new baseless rule, and added it to the pile of legal trivia which now constitutes the marriage celebrants of Australia. New inexperienced celebrants somehow got to teach OPD. Some (not all) seemed to love these new invented rules, and seemed to love showing off their recently invented knowledge with great authority. The end result? In doing so they killed off that little bit of joy that people gained by being a little bit more part of the event. There is a law which says two of the witnesses must sign – but where oh where is there a law forbidding other witnesses to sign? The real issue here is taking away from people the joy of looking at their Marriage Certificate and remembering who the key people were. The signing was a dignified joyous moment – and sometimes that wonderful wedding singer was able to sing three songs instead of two. The singers also felt more part of the event. Another observation. If you ring an inexperienced public servant in the AG’s office and ask the question – “can I do this?” – to cover their behind, the safest thing they can say is “No”. ( My observation is that they do not do any course of study; just like most celebrants of the you-know-who era they pick it up as they go – learn from their mistakes – good old victim-based learning). I hope (I urge) everyone who reads this far also to read the never-ever-ever taught Section 48 of the Marriage Act – http://www.collegeofcelebrancy.com.au/pages4/Sect_48-Marriage_Act.html -. It is the most valuable part of the Marriage Act. It is a freeing experience. 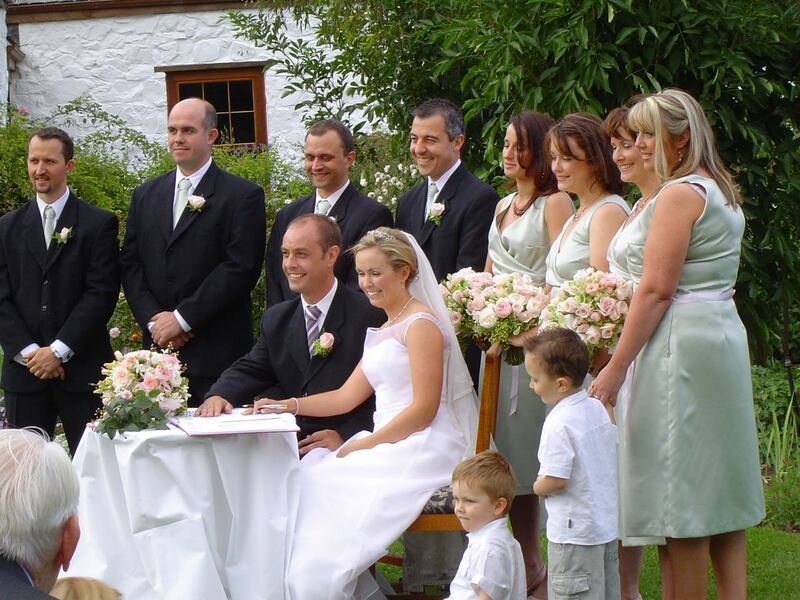 A good understanding of it will help a celebrant concentrate on what is our real and original task – enriching the culture with ceremonies that keep getting better.